This restaurant is outstanding. Not only is the food amazing but the waitstaffs knowledge of the menu is outstanding. I highly recommend. Went with my family for my birthday and WOW!! Blown away by the fantastic flavor and texture combinations in all the dishes we had! 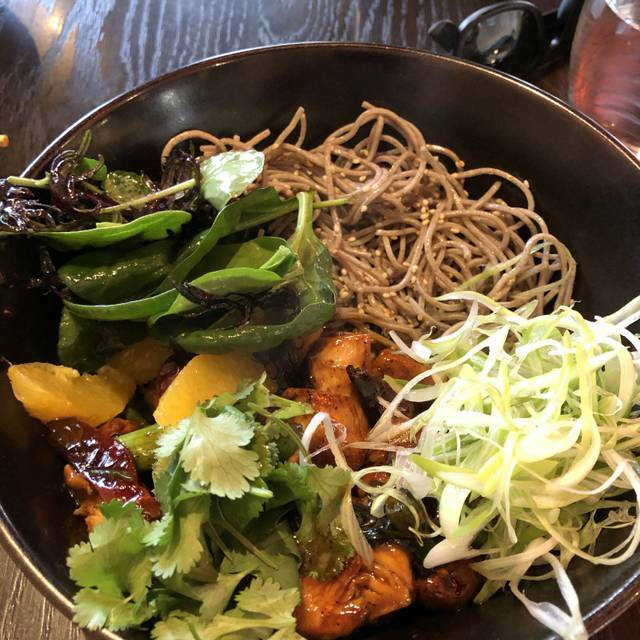 I was also pleased with how accommodating they were with food intolerances/allergies -- our server suggested dishes based on what I originally wanted to order and offered options that would be better suited to adapting for those needs. That was very appreciated! Everyone in my party was delighted and we had more than a few picky eaters plus restrictions amongst us. I will surely be back (perhaps with a different crowd) to sample more of the menu! Excellent food and service. The happy hour bites are unique and delicious, with a nice variety with a good wine and beers. Chef Pablo is a genius. His food is incredible, tasty, fresh and presented so wonderfully. The room is beautiful and the service is great. Hard to find default. Well recommended. Unable to sit at a table of our choice, we were relegated to a row of tiny tables. There were, at the height of the lunch rush, maybe 6 other people in the entire restaurant. It was a rainy Tuesday and yet, we were not able to move our seat. I was handed the bill as soon as we finished. My lunch companion asked if there was coffee. Reluctantly we were told there was in fact espresso. The food is not tasty. Every meal had the same taste. Service average, waited for kids drinks. However nice ambience, pleasant atmosphere. Below average Chinese food. Pork dumplings dense and flavorless. Greasy rice. Mediocre soup. Otherwise a pleasant experience. Nice dessert (not Asian in any way. Everything was outstanding. However, the music was too loud and, perhaps, it should be more a mellow genre. It was great. However, I was a little disappointed to find out that many dishes and wines were already sold out. So I had to order other things rather than what I initially wanted. All in all, the food was fantastic. I just wished I had been able to try what I wanted. Delicious food from beginning to end! Pretty much everything I’ve had here is very good. My guests and I enjoyed No Name Chinese very much. We chose several Dim Sum dishes to share. The pork shoulder dumplings were outstanding. The sauce was yummy. I ordered the yaka mein. I was disappointed. The broth was extremely light with zero depth of flavors. There were 3 pieces of brisket in it. 2 were all fat and I could not eat them. 1 piece was meaty and delicious. At $21.00, it was below par. One guest at my table ordered the King Po chicken which was outstanding. Service was good. 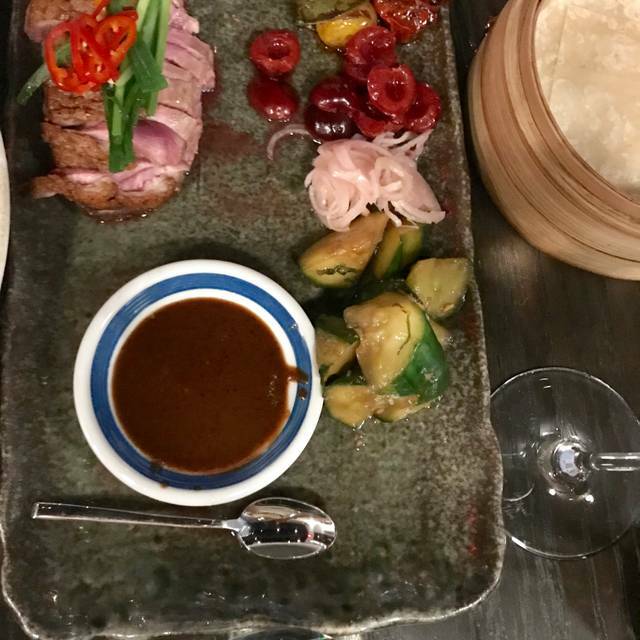 In an establishment such as No Name, it would be in the servers best interest of the guest to familiarize the guest with the 2 sauces on the table as well as each sauce served with most of the dishes. We flew blind until we could get the attention of another server. I would definitely go back. From the location to the service it’s unbeatable. We were greeted as soon as we walked in, taken to our table. The menu is not huge but the selection is great. Our waiter and other staff members were very attentive. I believe that the cost of the food is fairly equal to the value. Will be going back soon. Wonderful experience. Good food. Friendly service. The only think I had reservations about was the “choice” they give you for “serving size” for wine by the glass. Two glasses of wine each makes the bill hard to swallow. Corking fee is $25....next time I’ll take my own. Fantastic brunch! Exceptional menu items and cocktails. Will definitely come again. It was a great experience! Food was great! Service was a bit slow but food made up for it. 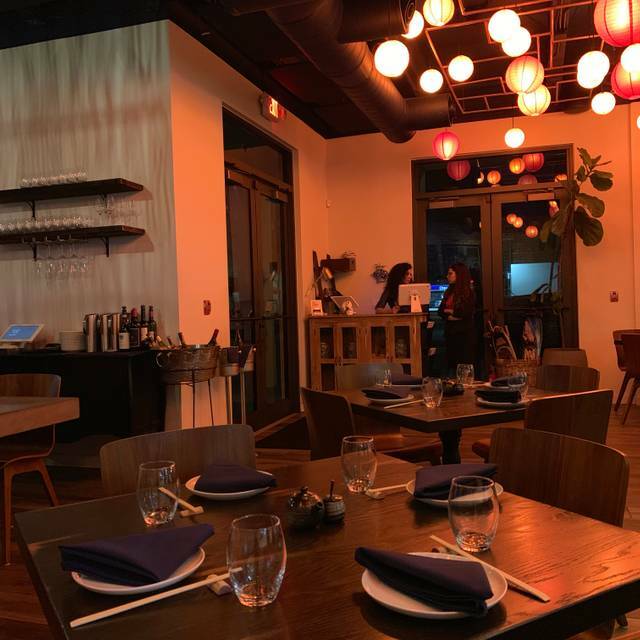 This is may be the best restaurant in South Miami and South Dade in general. The food is excellent and the menu is rotated enough to make return visits exciting. The service is excellent. I have been to No Name Chinese twice for bruch. Bith times we have had a wonderful meal with very good service. Most dishes we had were not only delicious but very creative and beautifully presented. My favorites were the scallop crudo and the turnip cruncky cake. The veggie fried rice was also out of this world. They have a nice wine sellection, even though they are a little pricy. We also tried some of the craft beers and their non-alcoholic drinks, and they were all great. The decor is a perfect match to the type of restaurant that No Name Chinese is trying to become. My only negative comment would be the noise level. The music volume was far too high, particulalrly fpr the daytime. We did ask to lower the volume a notch and were yold that the volume meant to protect the privacy of the diners conversation. They definitely achieved that goal because one hardly have a conversation! In all, we hade a wonderful time and equally wonderul time. We will for sure recommend this place and will go back soon! 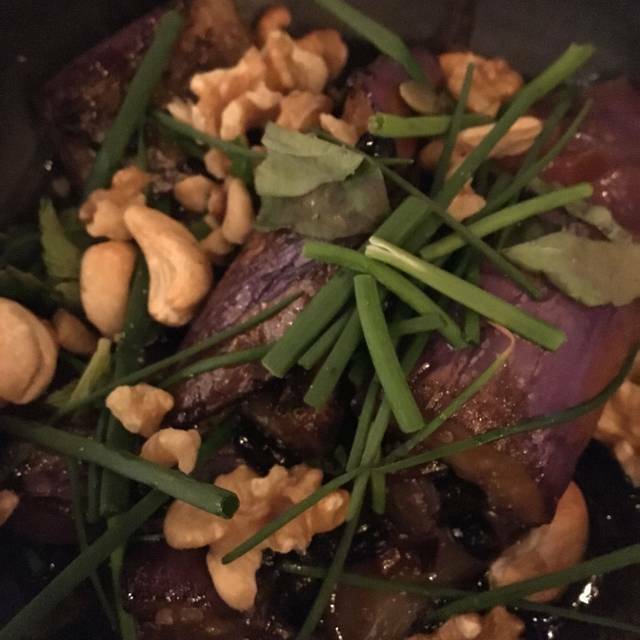 Get the crispy eggplant appetizer. Unbelievable! Absolutely delicious food! Was a little disappointed with the scallops appetizer as it was more like a ceviche and the plate was way too small. Can't complain about the environment. And the service was spectacular. The menu is quirky and innovative. 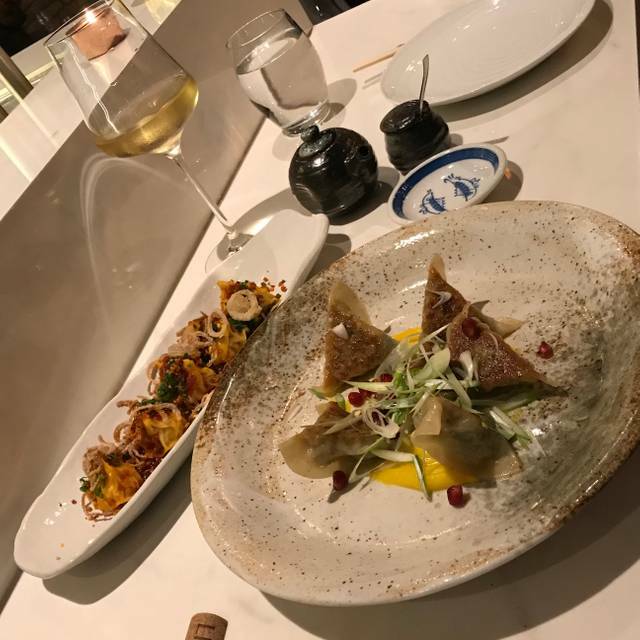 Several outstanding sakes, numerous craft beer options and well-selected wines perfectly complement the spectacularly delicious food. 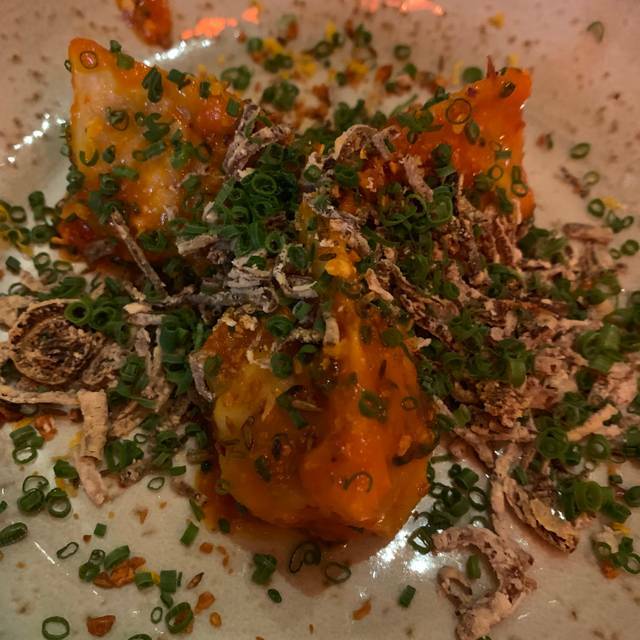 Although every dish seems to be special, for me the standouts are Angry Dumplings, Drunken Scallops and Cauliflower Chop Suey. The prices are not cheap, but for the total quality the cost is modest. My single downside is that the noise level can be a bit excessive on busy times. This is an outstanding Chinese restaurant. 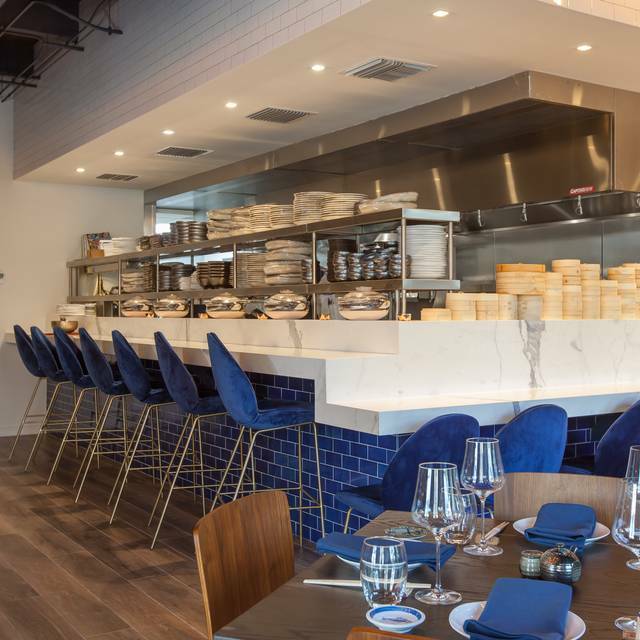 Leave your preconceived notions of what you would expect in most Chinese restaurants. You will find carefully prepared food, interesting taste and texture combinations and a nice wine and beer selection. 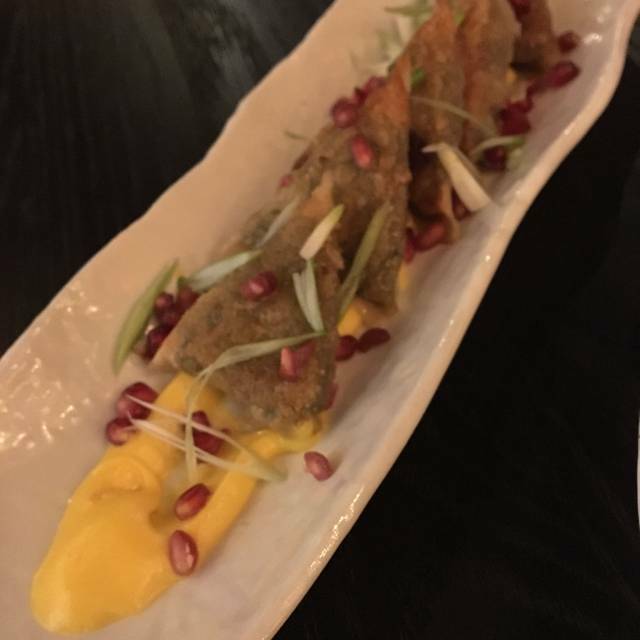 The food is simply delicious-you can taste the layering of the flavors in every bite. Excellent plus a great, small wine list. Excellent food, excellent wine list, great ambiance. The meal was delicious. The place was beautiful. And the service was spectacular. We were dining with out almost 6 year old. Our serves was especially sweet and accommodating to our little boy. And, when I tossed our leftovers by mistake (our kid really wanted them for his school lunch the next day—his birthday), they unbeknownst to us made us a completely fresh batch of fried rice for us to take home! They didn’t need to do that and, if I had known, would have stressed it was completely unnecessary. They wouldn’t have it any other way and insisted. There is no way we won’t be back to this place. The attention to detail, alone, made this spectacular. The amazing food was an added benefit. This was a terrific meal. 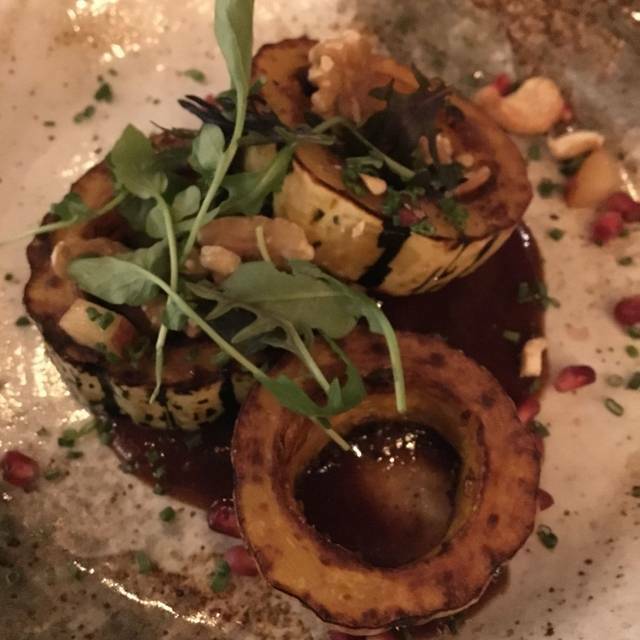 The eggplant appetizer was fabulous. The kung pao chicken was very good. The drinks were so-so, we got some of the sake based drinks and they just tasted odd. Our server was very nice and the staff were so polite. It was a little loud but they did turn the music down when we asked them to. Overall would go back. Loved the ambiance and vibe of the restaurant. Service couldn't be better. All of servers suggestions were spot on. If you like a bit of spice in your life try the "Angry Dumplings". They were the best! Wonderful flavors in every dish! Great service and great food! Highly recommend. Staff worked as a team to make sure our experience was perfect the entire meal. My wife and I went for Valentine’s Day dinner and the price fix menu was amazing. Each dish was creative, beautiful and delicious. Sadly Miami has an iffy reputation for bad service, and this restaurant is the flagship for that reputation. We were astounded by the behavior of the staff. We were seated promptly by the hostess, however the bartender came to our table and basically accused us of seating ourselves because she did not see the hostess seat us. Our 3rd guest was only staying for wine, so she was asked to go order at the bar rather than being served with us by the server. The food was horrifically over salted and not even regional food (Idaho trout in Florida?) the bok choy full of sand, not washed. My guest did not finish her meal but did request a box and we were then told the food was thrown away and we would have to wait for 30 min for a replacement. The manager was young, very inexperienced and poster child for Miami rude service. We waited so long to finally try this spot. We promptly left, and ate and continued cocktails at Town where we were told that everyone says that about No Name. Best they keep no name. The bar tender / manager working Sunday night was amazing. Her knowledge of the food and drinks was amazing. She had also not been feeling great and I could never tell because she was so up beat and positive. She is certainly an asset to the restaurant. Over sauced appetizer was too hot to eat. Bun was raw dough. Kung Pao chicken tasted only of soy sauce. Fried rice was mushy. Too expensive w/ very limited menu. Poor service. Restaurant was understaffed. It was loud and food was good but nothing special. Also, made a mistake on our order.